An amazing 9 days of fun in Sydney and the north coast including Jet Boating around Sydney Harbour, Learning to Surf with cool Aussie surf dudes, a private Sydney Harbour cruise, working on your tan on the world famous Bondi Beach and having a real Aussie beach BBQ with your new mates, exploring the stunning Port Stephens, sand boarding, spotting wild dolphins, seeing wild Kangaroos and Koalas, partying at some of Sydney’s best bars and clubs and much more! . Make new friends and share the adventure in your first 9 days in Sydney, then continue your travels with them around Australia! We’ll even put you in touch with your group so you can start chatting before you go. Get all the important stuff like an Aussie Bank Account, Tax File Number and Medicare sorted. It is currently shoulder season in Australia. Prices are good, and Australia's tour attractions aren’t crowded. Surf lesson at Spot X. Stay overnight on Fraser Island. “This tour, Taste of Tasmania (Original), covered a lot of Tasmania in 6 days, which is where I felt it was rushed. We arrived in Launceston late afternoon, and left early next morning. I would have liked to spend a day exploring the area. Other than that it was amazing, a good walk/hike almost every day, so be aware if your not fit before you start this trip , you will be by the time you reach spectacular Freycinet National Park. Unlike many countries that promise a larger-than-life holiday but doesn't deliver, Australia keeps its promises of a unique holiday. Melbourne. Sydney. Brisbane. Perth. Hobart. Canberra. Darwin. Each a superstar in its own right, each presenting something entirely unique to the traveler. 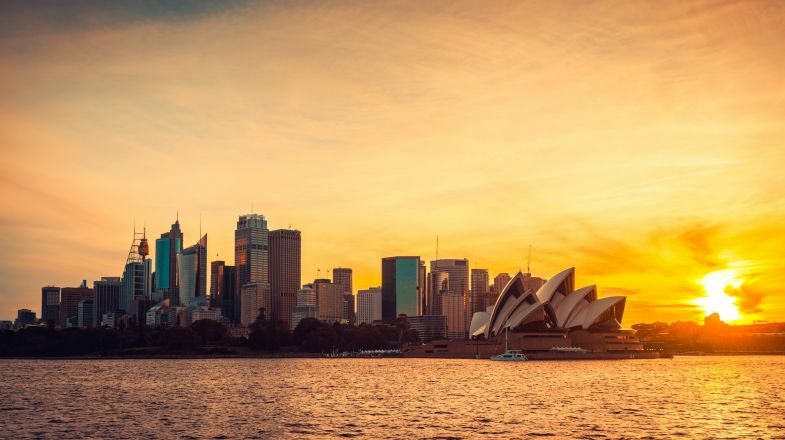 From the hippy student-oriented life of Brisbane to the iconic architecture of Melbourne, from the frontier attractions of Darwin to the sandstone beauties of Hobart, each city of Australia feels incredibly exciting. If you are up for a trip to Australia don't miss its wine valleys. Since most of the country’s population lives along the coast, seafood is very popular here. And of course, with a beer or a glass of wine in hand, you can easily wash down those lamb, chicken and beef dishes frying on the BBQ as well. A holiday to Australia cannot be cut short if you want to see all the country has to offer. Australia is a very, very big country, so plan for a long holiday (and save your money). Be prepared for long trips as even flying from coast to coast can take several hours. Head inland if you want to see the country's famous wildlife. That's where you're most likely to find kangaroos, koalas and wombats in the wild. UV rays are particularly high in Australia as there is a large hole in the ozone right above the country. Pack (and be sure to wear) high SPF sunscreen. Australia is perfect for swimming or surfing, but always pay attention to warning signs at the beach. Swim between the flags and beware of dangerous sea life. If you're looking to interact with locals (and meet fellow travellers), stick to the coast. Most Australians live within 50km of the coast, while the centre of the country is quite remote. Australia has seasonal weather so please do check up on best time to visit Australia before planning your tour.